In many Buddhist lands, the full moon is a time to gather for prayer and meditation. 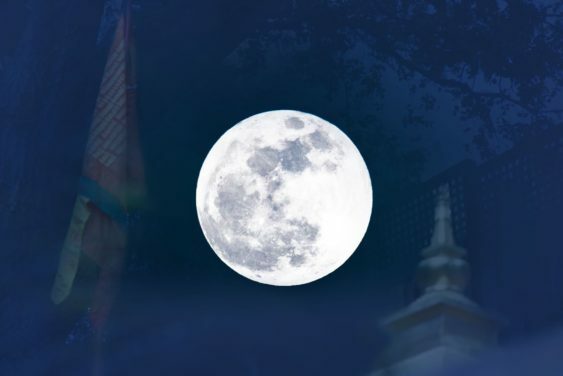 The Tibetan Nyingma Institute continues this tradition at the through holding a chanting ceremony on full moon nights. Join Nyingma students and friends in chanting the Vajra Guru Mantra interspersed with periods of meditation. The chant is held in one of our classrooms and is led by a faculty member. No registration is required. The time is from 6:15 – 6:45 pm; please arrive a few minutes early.